Ordering from the kids menu may be Shakiyah’s choice for life. Even as a teenager her favorite foods are PB and J, mac and cheese, and pizza. Needless to say she fairly easy to please at the dinner table. She loves to draw and play basketball, but honestly loves all things sports related. 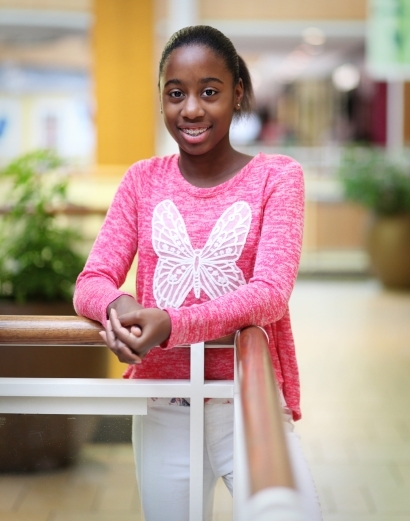 Her forever family will need to have two parents and be able to provide Shakiyah with a lot of attention. She can be oppositional, so patience and support will be a must. When you look at Shakiyah, take a minute and look into her eyes and smile, look into your own heart, is this young woman meant to be yours? For more information, fill out the inquiry below.